DILR-40, DILR-22, DILR-31 Moeller Electric, replaced by DILA-40, DILA-22, DILA-31. 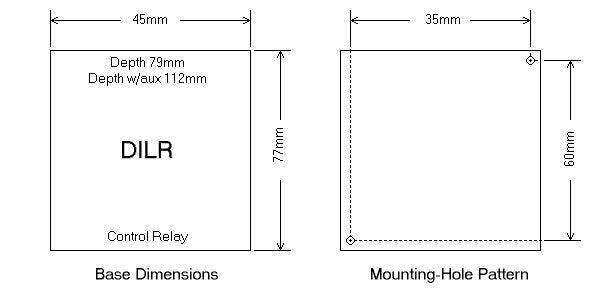 Replacing the Moeller DIL R series control relays with the new DIL A series, with dimension drawings. The original Klockner Moeller DILR series is replaced by Moeller Electric's new DILA series. 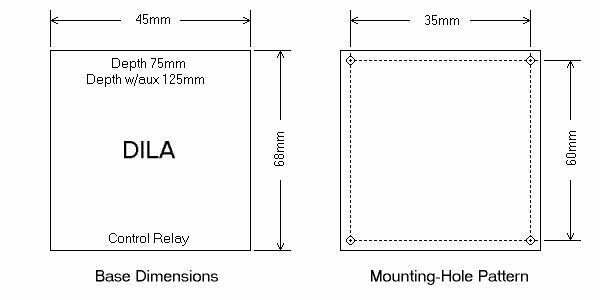 The DILA is a perfect replacement and even the mounting holes line up.